While I’ve been sitting here taking my sweet time on Season 2, most Degrassi fans have finished and are clamoring for Season 3 info thanks to that Season 2 cliffhanger. As always, any important news about both Seasons 3 and 4 will be posted on the official news page. However, I’m making this very quick Next Class Season 3 FAQ early in the hiatus since a lot of people have been searching for info. If you see fans doing things like asking every cast member when Season 3 will air, make their lives easier by sending them a link to this post (BEWARE: this post does reference major season 2 spoilers below). When does Degrassi: Next Class Season 3 start? As of writing this (8/5/16) there is no official release date. However, if we’re assuming that Netflix will continue its trend of releasing new episodes worldwide every 6 months, the new season will be released in January 2017 (and Season 4 in July 2017). Both seasons will have 10 episodes each. The same goes for Family Channel in Canada, but who knows how Australia will go about airing the show in 2017 after what happened earlier this year. How can I audition for Season 3? Degrassi has already finished filming Season 3 and they’re almost done with Season 4, so auditions are closed for now. Open auditions for a possible Seasons 5 and 6 wouldn’t happen until around Spring 2017. 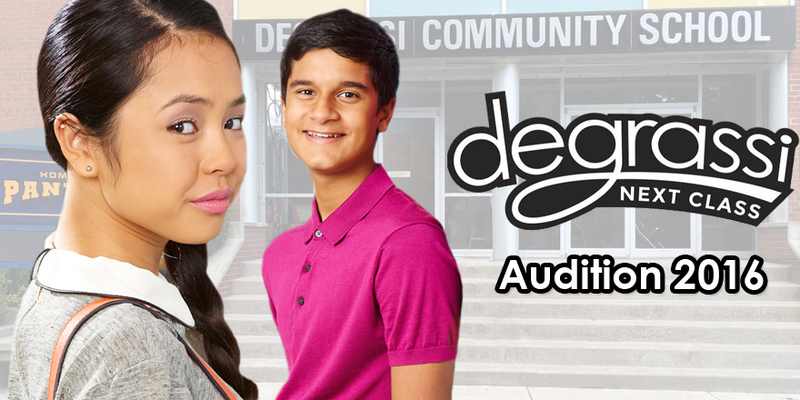 Keep an eye on Casting Director Larissa Mair’s website for future Degrassi audition info. Degrassi characters watch news footage of a bus crash in the Season 2 finale, #OMFG. Degrassi has only ever used the death of a primary character under two specific cirumstances: 1) Cam was brought onto the show for the specific purpose of telling a suicide storyline and 2) JT and Adam were killed when the actors playing them had planned to leave the show anyway. While the end of the Season 2 finale states no fatalities had been reported in the bus crash, a death (or using the accident as a way to write off a character Terri MacGregor style) is very much on the table. TV Guide wrote an article in which they predicted the odds of the characters on the bus surviving; all but one of the characters on that list have been visually spotted on set while Degrassi’s been filming Seasons 3 and 4 this summer (EDIT: all characters on the list have been confirmed on set at some point during filming, but that doesn’t automatically rule out a possible death). If you haven’t been doing so already, you should be reading the “On Set” updates posted on the Season 3 & 4 News page. They contain pictures and video that the cast and crew have been posting while on set since May. Even though I know that all signs point to Lyle getting the ax, for what it’s worth he kept a very low social media profile during the filming of Seasons 1 and 2. He was on almost every episode and the only two shots that surfaced of him during that period was one posted by a crew member and the 500th episode celebration group shot. I don’t think Tristan will die even though I wouldn’t be surprised if he was in critical condition.